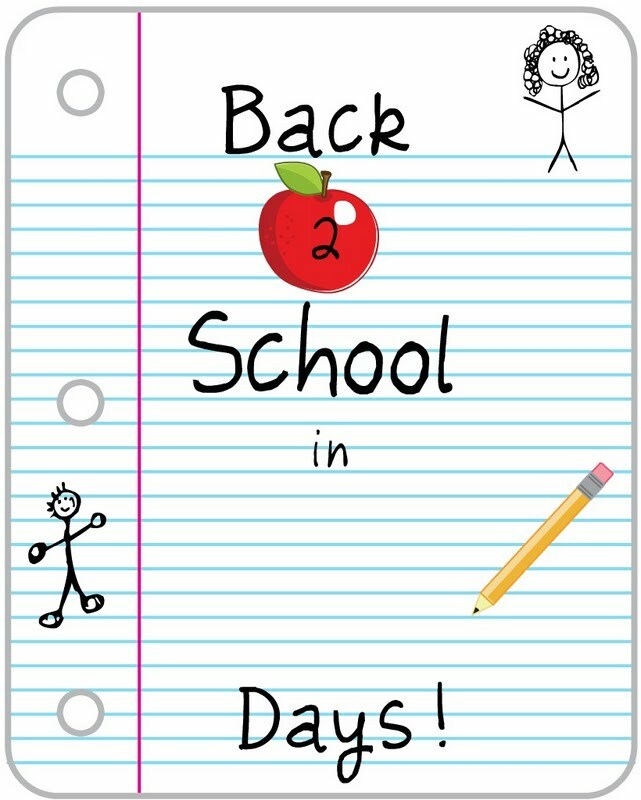 I was fortunate enough to guest post on A Molly Of All Trades on Friday and share my Back 2 School printable with her readers. In case you missed it, I'm posting it here to share with all of you. We live in Utah and school goes on a 45 day 'on', 15 day 'off' schedule, so this can be used year-round in our house. I have this framed in an 8x10 frame so I can use the glass as a dry-erase surface. We're in the single digits on our countdown until Samantha's first day of kindergarten! How soon until your munchkins start school? my little boy is on his summer holidays and as 6 weeks of, so defo going to be using this! I'll have to keep this one in mind when my little one is old enough to start school. Thanks for sharing. 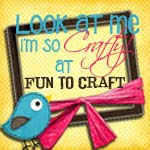 Linking up after you over at Today's Creative Blog. My daughter is going into senior kindergarten and I have to admit I'm the one who is a little sad she's going back (although some days I'm glad! LOL). Visiting from I Heart Naptime Crafts. Great idea and thanks for sharing! We home school and still could/will use this! Thank you so much for the idea!!! I LOVE, LOVE, LOVE this idea. Thanks for sharing. 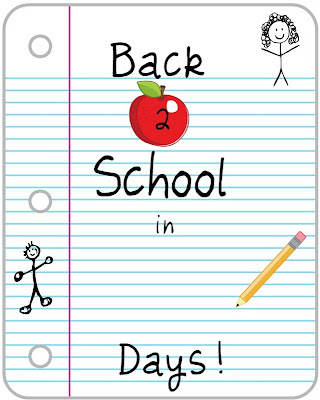 I can never seem to get enough of the cute countdown calendars out there, and have never seen one for back to school. I can't wait to print these out and give as a party favor for all the moms at my back to school party this year! I wanted to let you know I featured this on my Shout Out Sunday this week. Thanks again! You lso have someone rooting for you and pushing you to keep going. Health is really is wealth in more than just financial, and whatever choices you make, we wish you best of luck in your pursue of a slimmer aand healthier body. بلدية المعذر، ويتبعها: حي المعذر، حي المحمدية، حي الرحمانية، حي الرائد، حي النخيل الغربي، حي النخيل، حي أم الحمام الشرقي، حي أم الحمام. United have struggled in America without a number of star players (Picture: Getty)'I think two is not what I will get. I think in every pre season it happens basically the same with probably every club, which the manager wants more. It is our nature and our way to always want more for your team..
Could just kind of tell, he Sac Longchamp Pas Cher said. Bolsos Michael Kors Rebajas Had such good chemistry on the ice and they wore teams down, they worked hard and they played for each other. Ty Smith saw a high speed, physical game as he watched last year. Les mecs en combinaison qui avaient pntr dans Longchamp Soldes Destockage le bloc avaient aussi l'air de s'y connatre On les attendait, sans bouger, les messes basses attisant les imaginations les plus fertiles. Le premier homme en combinaison Hazmat vint vers nous, et retira son casque. Il aurait pas d, son visage tait Bolsos Michael Kors Baratos presque plus flippant que sa combinaison.